There was plenty of optimism in Guthrie Center Tuesday night as the 3-0 ACGC girls basketball team hosted Des Moines Christian. Unfortunately for the home squad, the Lions got out to the lead early and never looked back as they handed the Chargers their first loss of the season, winning 67-37. DMC sophomore Moriah Prewitt led all scores with 20 points, while senior Emma Veenstra contributed 16 for the Lions. After scoring a career-high 15 points against Grand View Christian the previous night, freshman Chloe Largent was held to just four. 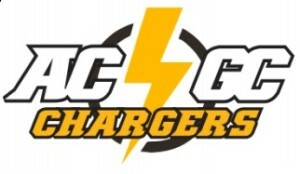 Senior Jadeyn Carrick led all Chargers with nine points as the girls drop to 3-1 (1-1). In the nightcap, the Lions also got the win over the Chargers, though the boys fought tough to the end, losing 63-79. Junior Curran Ingram led all scores with 29 points, while three other Lions got to double figures. Noah Nelsen was once again the leading scorer for the gold and black, putting up 16 points in the loss. Noah Sargent also added a career-high 14 points, while sophomore Lucas Marsh got his first career points, chipping in 11 for ACGC. This was the closest any ACGC basketball team has ever come to defeating the Lions. The boys drop to 0-2 overall and in conference play. Both teams will head to Ogden Friday for a WCAC doubleheader against the Bulldogs.